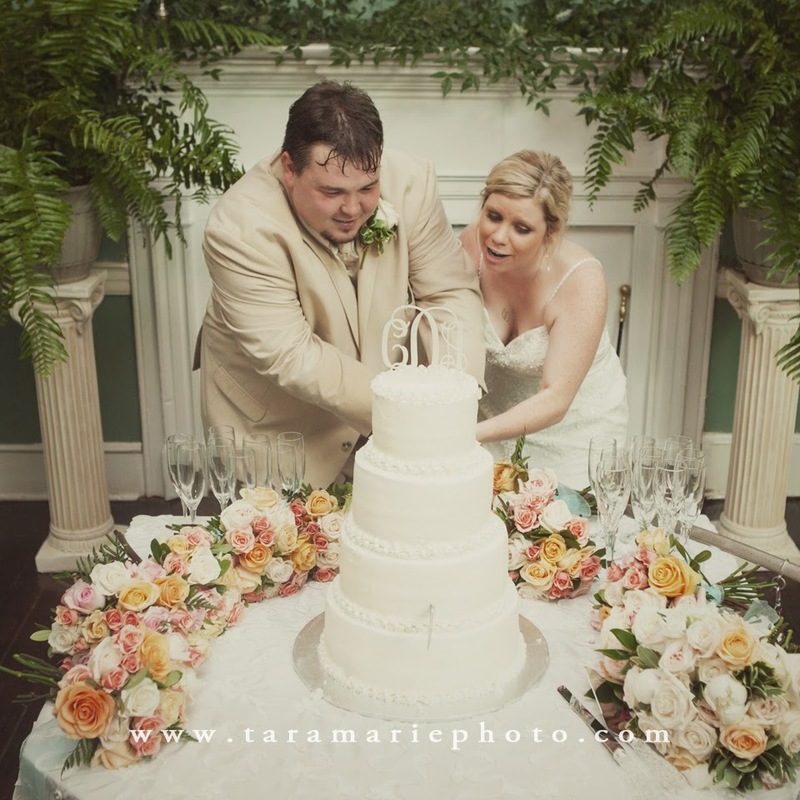 Tara Marie Photography: How to properly cut your wedding cake with a SWORD. 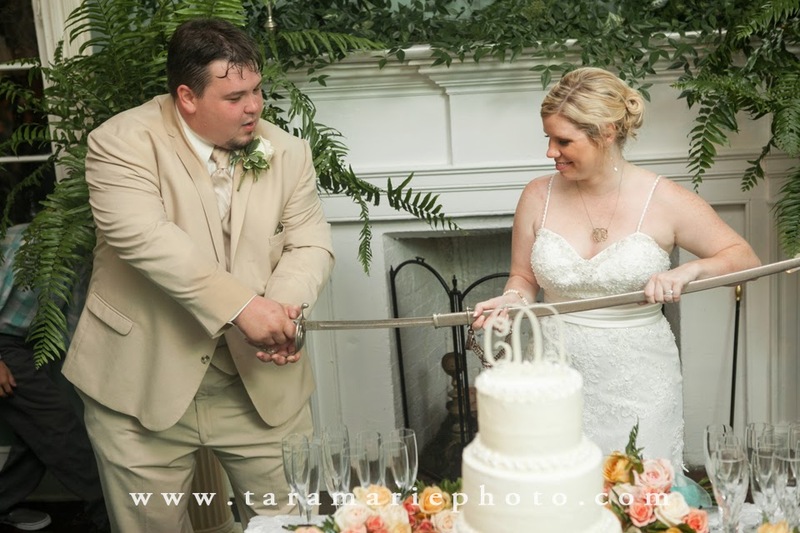 How to properly cut your wedding cake with a SWORD. 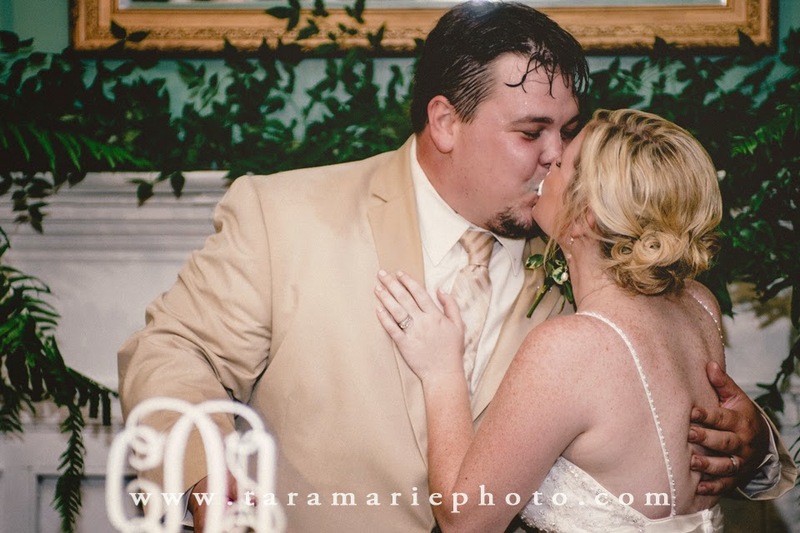 gorgeous girls, goofy guys, sweet ceremony, cute decorations, and the works. 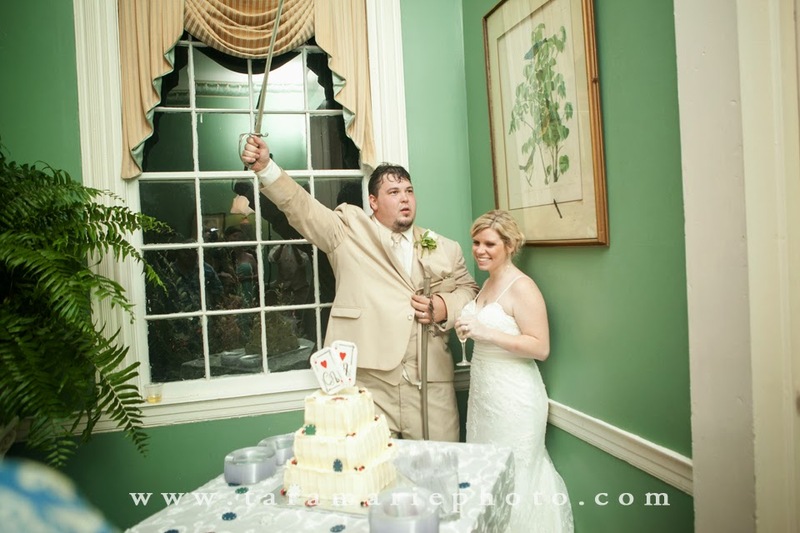 Well, when it came time for the cake cutting, Alden and Caitlin Daniel brought out a special surprise- a sword to cut the cake. 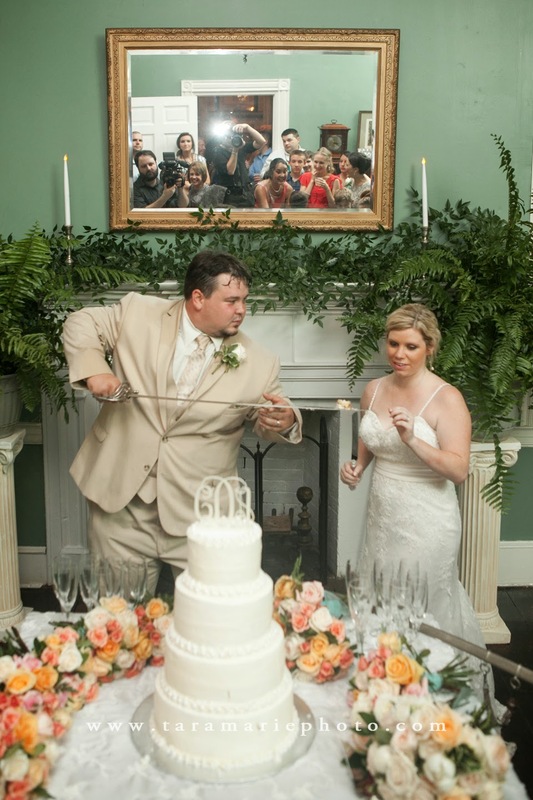 So, here are the steps to cut your wedding cake with a sword, just like Caitlin and Alden did. 1. 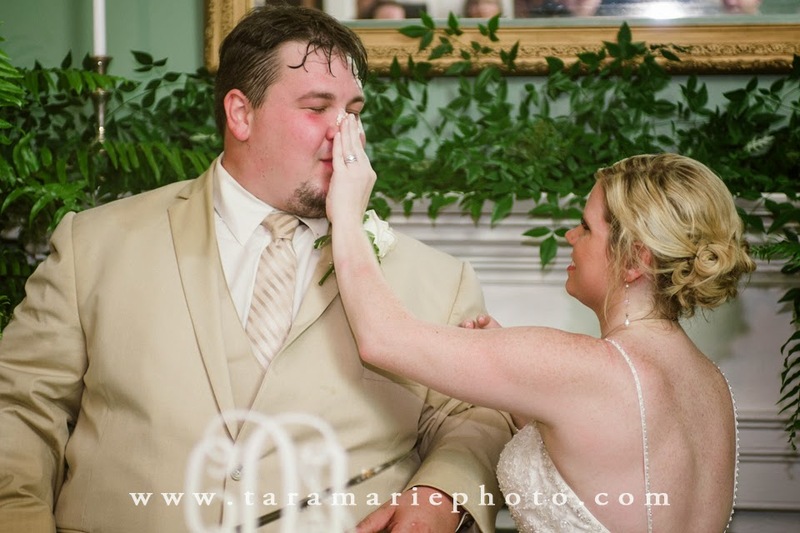 Bride should hold the sheath of the sword while the groom pulls it out. 2. 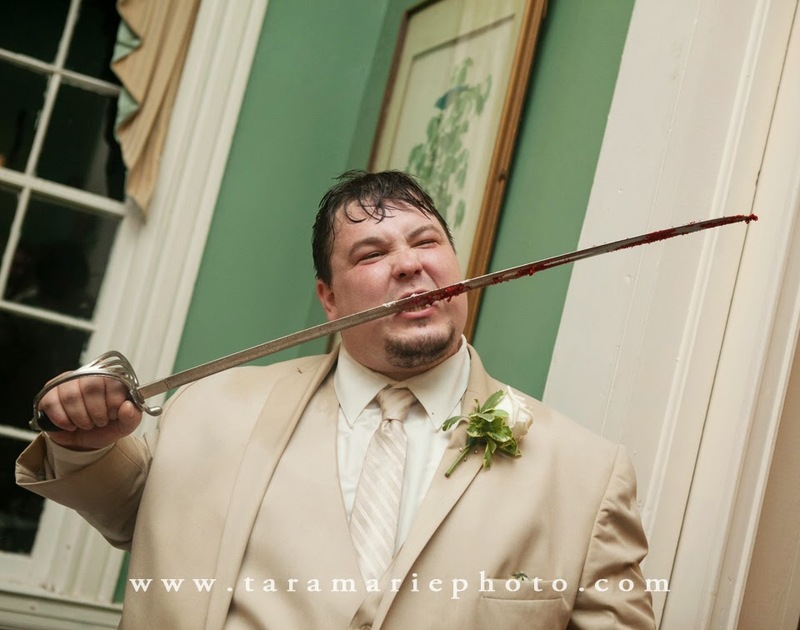 The groom should hold the sword into the air and make a growling, piratey-sounding noise, while the bride pulls on his sleeve trying to get him to be a little less manly. 3. 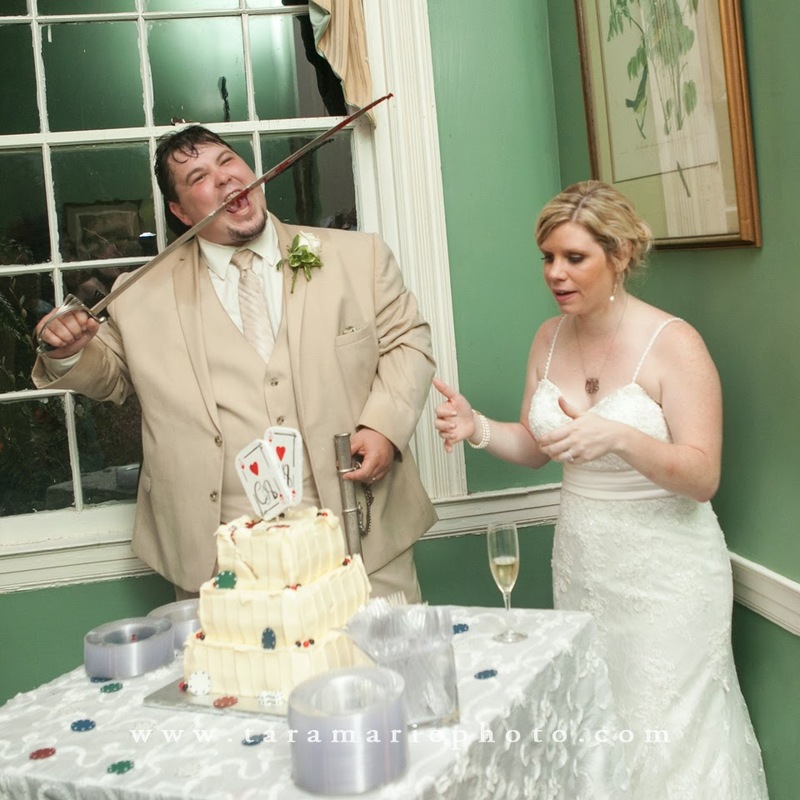 While the bride and groom grip the sword together, the groom should overpower her efforts to hold him back and stab the cake through and through like it is a bad guy. 5. 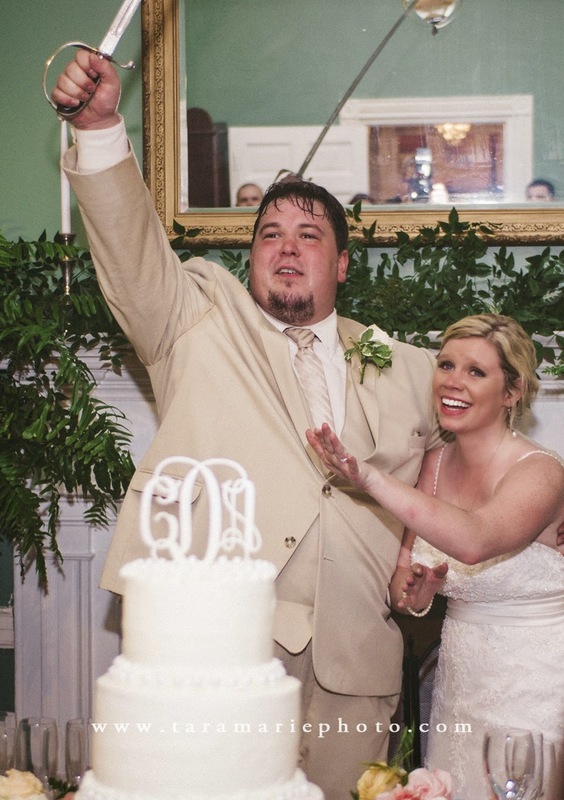 Raise the sword in a triumphal celebration of victory over the evil cake. 6. Gently pull the sword out and cut two small pieces of cake. Offer the bride her piece on the sword. *** (Important safety note) 7. 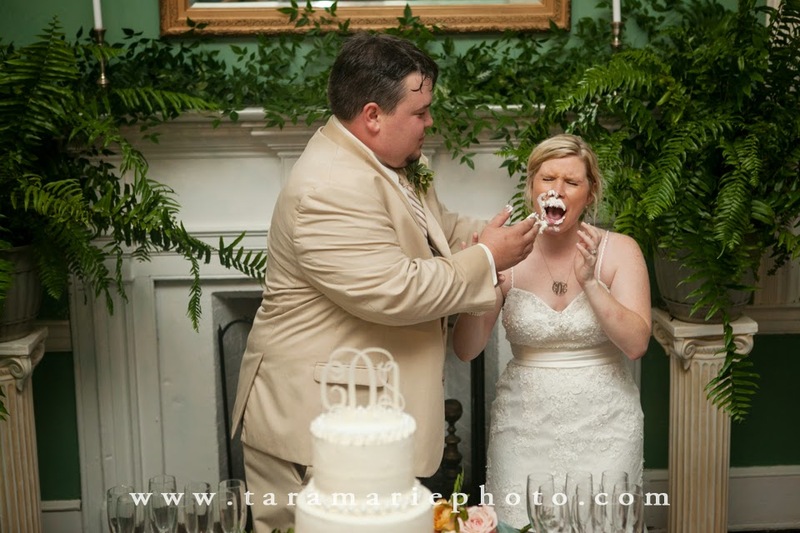 AFTER *** the groom has set the sword down, the bride should put cake on the groom's nose in an attempt at revenge. 8. 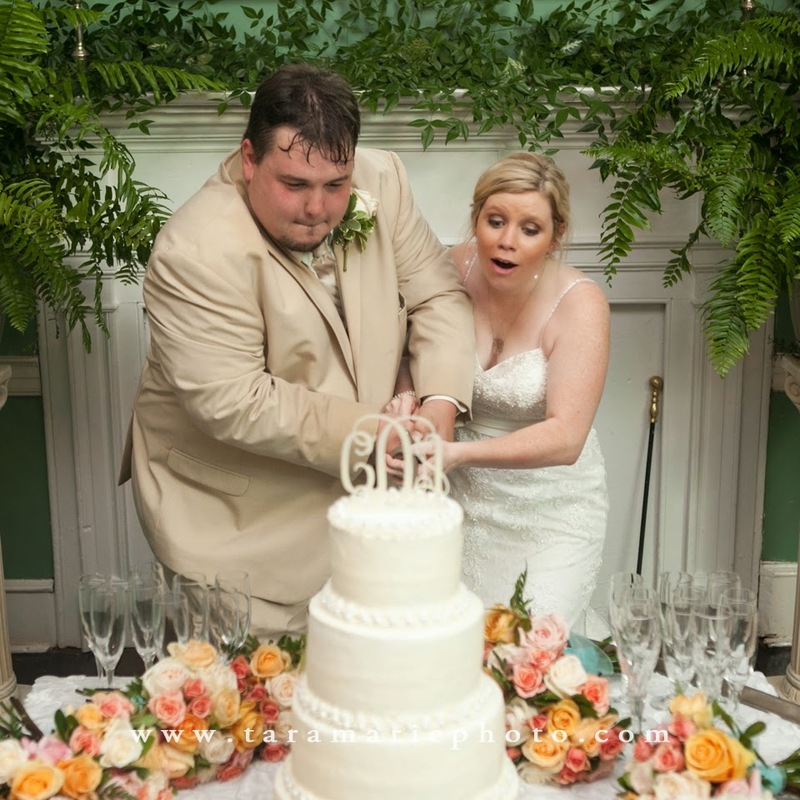 Groom should then energetically smash cake into the bride's face. 9. Kiss to remove most of the icing. 10. 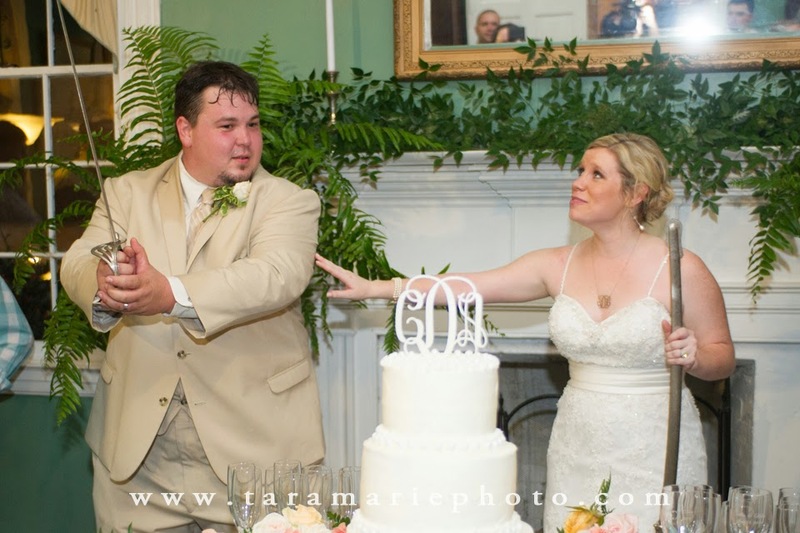 Repeat with the groom's cake, except this time, lick the sword clean of blood (aka, red velvet cake). 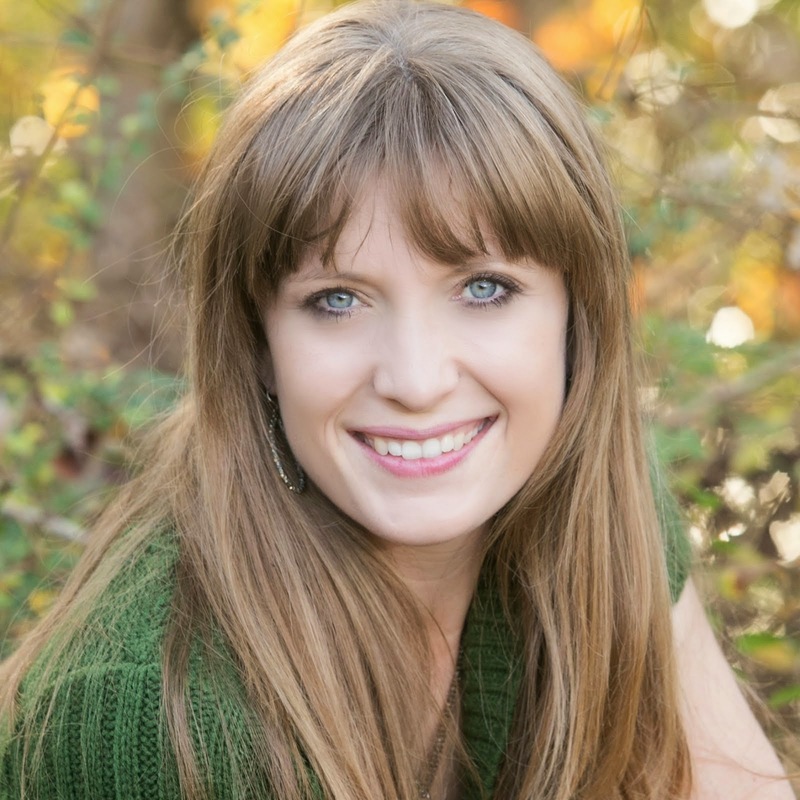 I hope you've enjoyed this highly instructional blog post.